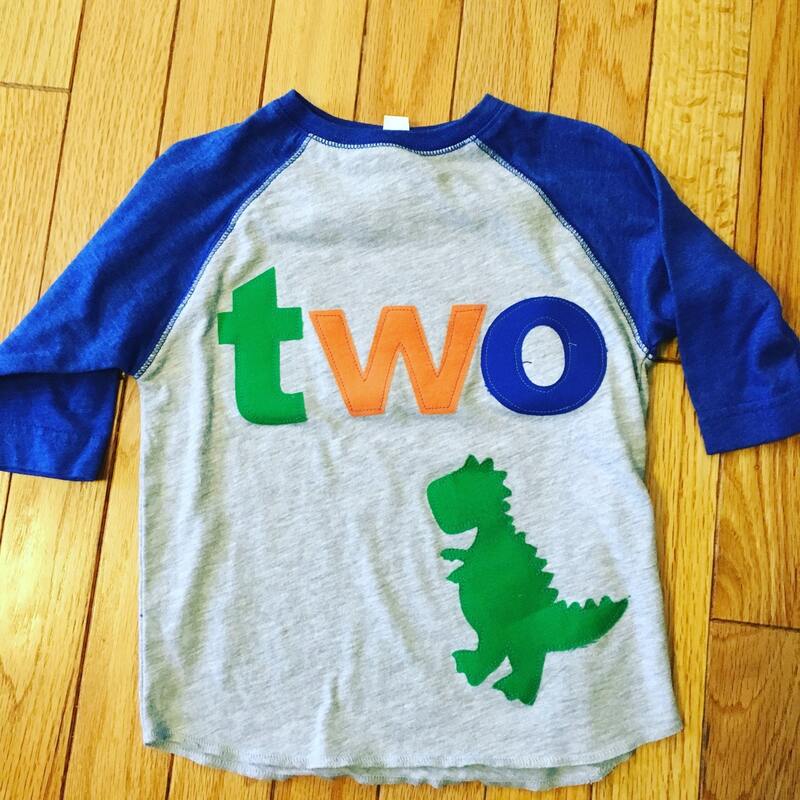 The perfect birthday shirt for your dinosaur lover. ****shirt pictured is the 3/4 sleeve raglan. The short sleeve gray and long sleeve gray are SOLID colored shirts, not blue on the sleeves. I understand that sizing is different for all brands. Here are measurements based on sizes listed give or take 1 cm. Please read and measure a shirt laying flat across the body and and from the shoulder to the waist seam to ensure correct sizing before ordering as returns are not available and exchanges must be pd shipping both ways by purchaser. Washing instructions: for best results suggest that shirts are hand washed and hung to dry. Second best would be washed inside out on gentle. All shirts are made when ordered and production time is 10-14 days. Shirt will arrive to you based on production and shipping transit. For your convenience 2 shipping options are available: 2 day priority and 4-5d standard USPS. If you need your item faster than this the "rush production" listing must be added. 12 month 10 3/4" 11 3/4"